This morning, while making my rounds, I met a young man who camped here in the park overnight. He arrived after dark. I was impressed and curious about his lack of gear. 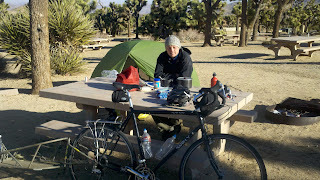 When I passed his campsite the first time all I could see was a small tent and a bicycle with an attached one wheel trailer -- that's all. Later when I passed, he was outside having breakfast cooked on a one burner trail stove. I stopped to visit and what a story -- short, simple, and awesome. He is from Vancouver, BC and works for the Canadian Park Service on a contract basis. At the end of his contract, he decided to take some time off for an adventure, and this is it. He is traveling by bicycle from Vancouver, BC to Belize!! He has no support truck, just him, his bike, and the few things he can pack in the bike trailer. When I returned to our Cougar, I pulled up his trip on Google Maps. Vancouver, BC (N 49.261755*) to Belize City, Belize (N 17.498085*) is 4,200 miles and covers 32* of latitude. WOW. Hey Adam and Neal -- "10* of Latitude" is just practice! I am now at the time in life where I reflect on past adventures -- mostly adventures missed. 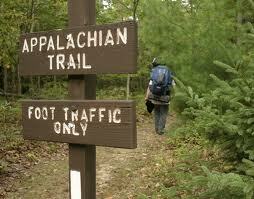 My thoughts today gravitated to hiking the Appalachian Trail and canoeing the Allagash River. Maybe in the next life. The Appalachian National Scenic Trail, generally known as the Appalachian Trail or simply the AT, is a marked hiking trail in the eastern United States extending between Springer Mountain in Georgia and Mount Katahdin in Maine. The precise length of the trail changes over time as trails are modified or added. The total length is approximately 2,200 miles long. The trail passes through the states of Georgia, North Carolina, Tennessee, Virginia, West Virginia, Maryland, Pennsylvania, New Jersey, New York, Connecticut, Massachusetts, Vermont, New Hampshire, and Maine. 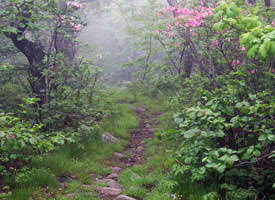 The path is maintained by 30 trail clubs and multiple partnerships, and managed by the National Park Service and the nonprofit Appalachian Trail Conservancy. The majority of the trail is in wilderness, although some portions traverse towns, roads and cross rivers. The Appalachian Trail is famous for its many hikers, some of whom, called thru-hikers, attempt to hike it in its entirety in a single season. Many books, memoirs, web sites and fan organizations are dedicated to this pursuit. An unofficial extension known as the International Appalachian Trail continues north into Canada and to the end of the range, where it enters the Atlantic Ocean. 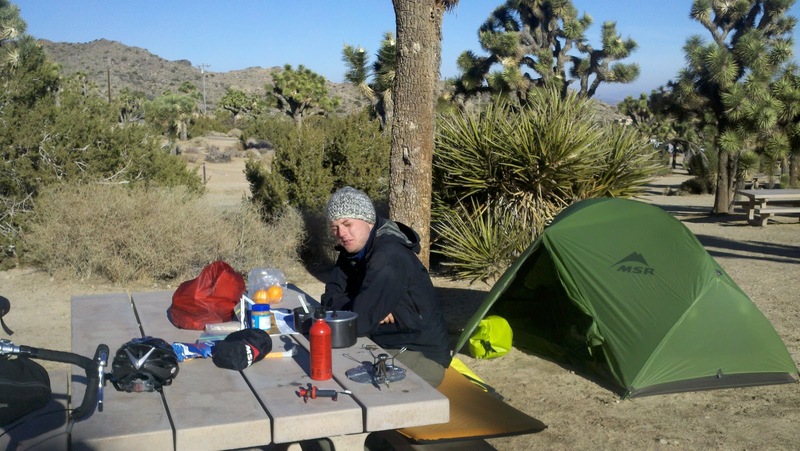 The Appalachian Trail, the Continental Divide Trail, and the Pacific Crest Trail form what is known as the Triple Crown of long distance hiking in the United States. The Allagash River is a tributary of the St. John River, approximately 65 miles long, in northern Maine in the United States. It drains a remote and scenic area of wilderness in the Maine North Woods north of Mount Katahdin. The name "Allagash" comes from the Penobscot word, meaning "bark stream". The Allagash issues from Churchill Lake (formerly known as Heron Lake) at Churchill Depot in northern Piscataquis County. In its natural state, it also drained Allagash, Chamberlain, and Telos lakes, but in the 1840s dams were built which diverted their drainage into the East Branch of the Penobscot River, to facilitate the shipping of logs south to coastal Maine. Lock Dam drains some water from Chamberlain Lake into the south end of Eagle Lake, which then flows out through the Allagash as it naturally would. Extending the flowline of the Allagash River to Lock Dam on Chamberlain Lake gives a total length to the mouth of the Allagash at the St.John River of 86 miles. 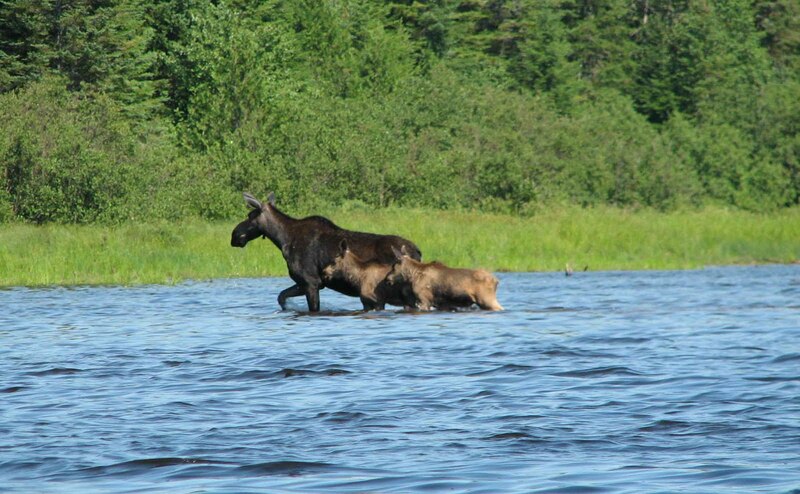 The Allagash flows generally northeast, passing through a chain of natural mountain lakes. It joins the St. John from the south at Allagash, Maine, near the international border with New Brunswick. 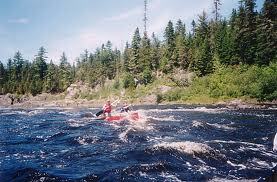 The relatively unspoiled nature of the river has long made it a popular destination for canoe trips. In 1857 Henry David Thoreau, along with his Concord friend Edward S. Hoar and Penobscot guide Joseph Polis, made a canoe journey which led him to the source of the river, i.e. Heron Lake. His account of the excursion called "The Allegash and East Branch" was published posthumously as the third chapter of The Maine Woods (1864). "Maine's Allagash River has a mythic reputation: Henry David Thoreau once sought solitude here in a savage wilderness populated only by moose and loggers. A modern paddler floats in Thoreau's wake and finds that time hasn't just stood still on the Great American River for more than a hundred years—it's flowed backward."